These days, it can seem like there are never enough outlets for everything we need to plug in. One easy way to solve this problem? A power strip. And right now, you can get Anker's loaded PowerPort power strip for $28, the lowest we've seen it and down from a previous low price of $35 and a list price of $60. With 12 outlets and three USB ports, this power strip makes it easy to plug in all your devices, while PowerIQ technology adjusts voltage to charge your connected USB devices efficiently. To keep your devices safe, this strip features surge and storm protection, and a durable coating on the plug itself means it will stand the test of time as well. 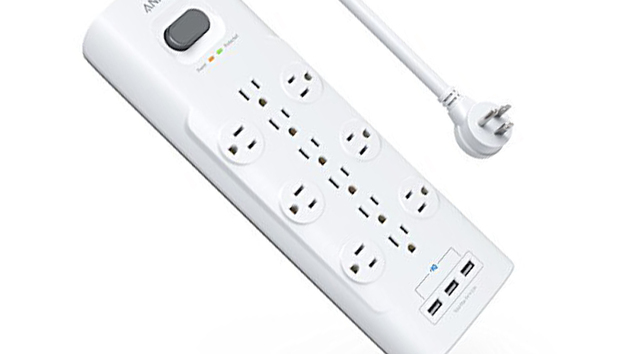 We haven't tried this power strip ourselves, but it has a 4.6-star rating out of 5 over nearly 300 user reviews on Amazon. However, we have tested a lot of other power strips, so if you're looking for an even more robust surge protector, check out our guide.